Hario Coffee Equipment: Brew For Specialty! Hario (the king of glass) has been manufacturing heatproof glass since 1921. All of Hario’s products have the same philosophy at heart: quality and functionality that are beautiful and useful in equal measure. With hundreds of award-winning designs and innovations, HARIO continue to make great speciality coffee gear that is appreciated by baristas and coffee enthusiasts at home. The V60 coffee dripper is the most famous invention, and it has spearheaded interest in manual coffee brewing equipment. 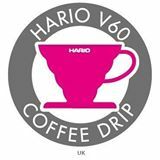 Hario’s mission is to provide the best hand brewed coffee equipment in the world. From Award-winning speciality coffee & tea to modern glassware and coffee making equipment, Hario have a product for you!